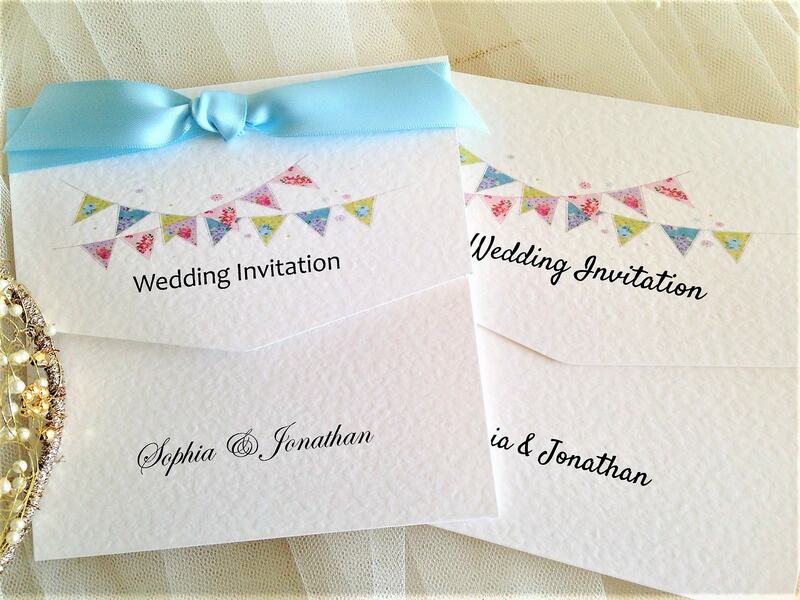 Tri Fold Wedding Invitations, our most popular wedding invitation design! 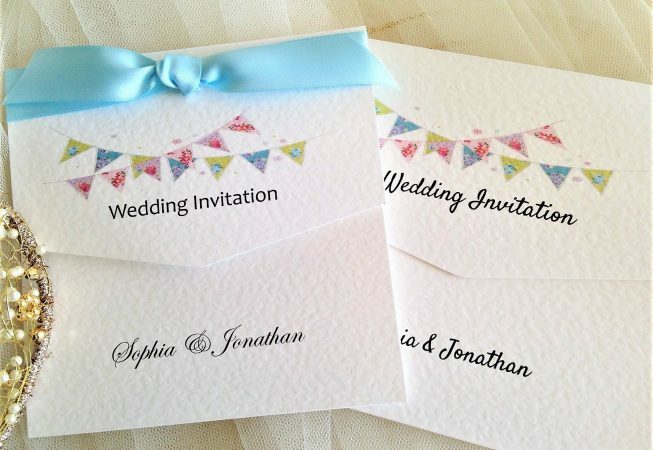 Summer Bunting Tri Fold Wedding Invitations are supplied on a thick heavy weight (270gsm) hammered card and are available in either white or ivory. 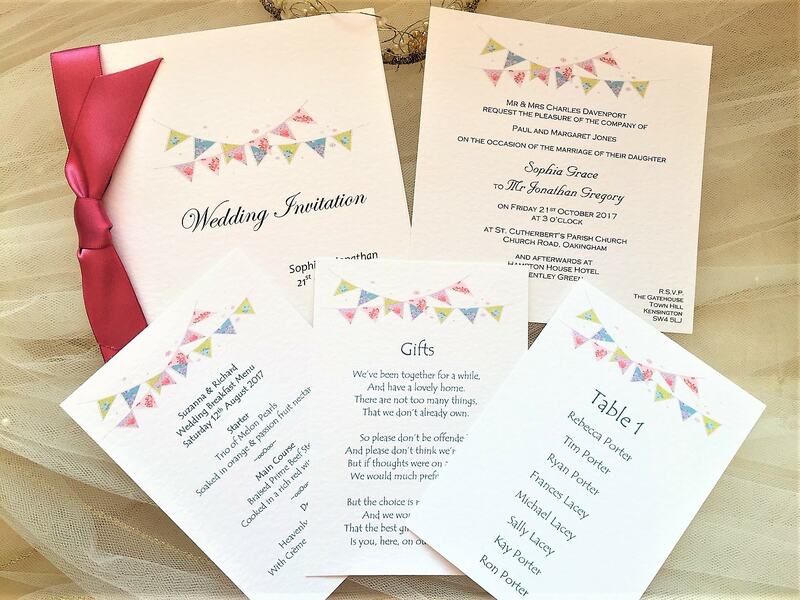 This wedding invitation design is part of our Summer Bunting Wedding Stationery Range and offers three areas for printing, top, middle and bottom panels of the invitation. 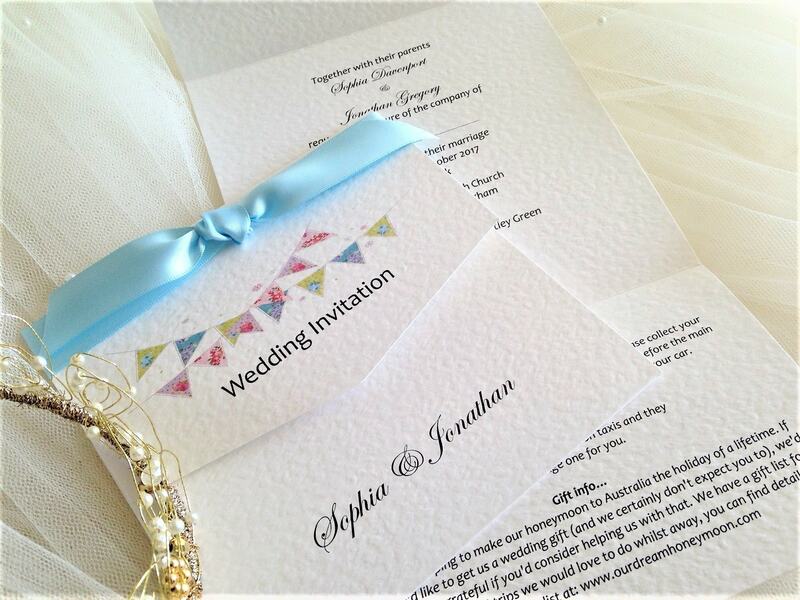 We also include a set of Velcro closers with this style of invitation, for you to apply if you wish. 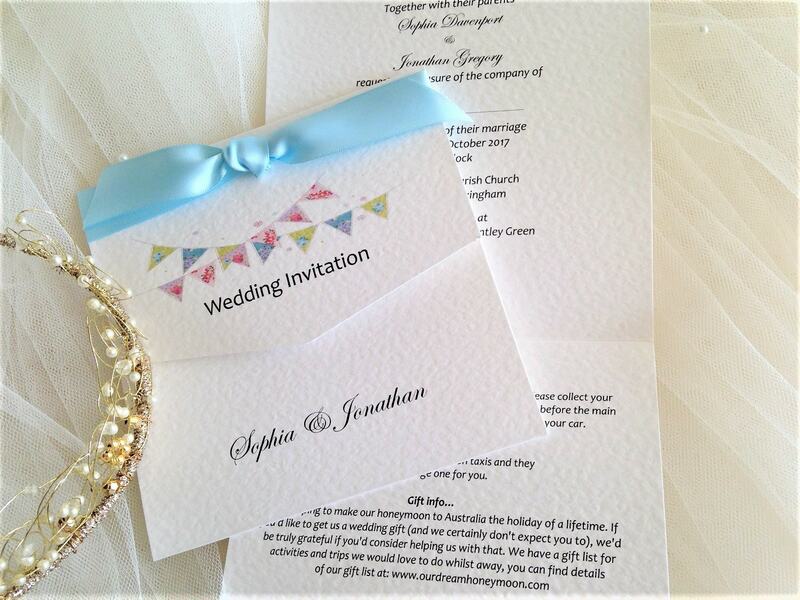 Velcro closers are included for you to apply if you wish.